Captain Marvel is pretty good. I could probably leave the review with that statement. It sums up mostly how I feel about the film. It has a good cast, a serviceable plot and some great action scenes. Brie Larson is playful and fun, yet serious when needed. Sam Jackson is a riot. playing a very different Nick Fury to the one we are familiar with. The colour and style are great fun, and there is even a cute cat. The best part of the film by far is the part where Fury and Carol Danvers team up to hunt down the Skrulls together and find out parts of Danvers backstory. The two have good chemistry as a duo and Jackson has a lot of fun playing a younger and less battle worn fury, with more jokes and a much more relaxed attitude. The CGI used to make Jackson look 20 years younger is superb, and in fact, it might be the first time I have seen that effect look convincing rather than uncanny. The film starts a little slowly as most of the parts in the Kree home world are a little dull, but as soon as the film gets to Earth, the story picks up and maintains a decent pace until the end. The main weakness of the film is its surprise villain, (spoilers) Jude Law’s character Yon-Rogg. He is set up as Danvers’ mentor but turns out to have been behind her capture. His character felt very lacking to me. He spends much of the film telling Danvers to control her emotions which felt incredibly on the nose and lacking in subtlety. The most redeeming part of him as a villain is the way he is dealt with at the end. After beating her in hand to hand fights during their training together, he challenges Danvers to face him without her photon powers and see which one of them could win. Carol pulls an Indiana Jones and simply shoots him with a photon blast, because why the hell wouldn’t you? This was great character moment, and probably my favourite in the entire film, however it is a little anticlimactic after all we’ve been through. But this is really a nit-pick. While it has its weaknesses and I would still consider something like Wonderwoman a much better film, I had a lot of fun watching it, and that’s all I generally expect from Marvel films. Why am I reviewing it then? Truth be told I have an ulterior motive. When I went to see this with a friend, we missed the regular 2D screening and so I had to see it in 4DX. That involves sitting in a cinema with movable vibrating seats and air spraying into your face. It has smells and flashing lights, and of course, 3D. I avoided 4DX for a long time. Mostly this was because I don’t really value 3D, it always feels like a gimmick and adds little to a movie experience for me. But I was still curious as to whether or not 4DX improves immersion. It could be like VR, and I could have felt transported to the world of the film. Maybe moving in your seat during action and feeling the explosion blasted through air would add to the experience? So, I caved, and paid a few extra quid to see it in 4DX with my friend. My hidden motive in this review is to comment on the 4DX experience I had, and how it impacted on the film. To start with, I don’t recommend paying extra for it. While it didn’t completely ruin the film for me, I think I certainly would’ve had more fun without all the distractions the effects caused. Far from immersion, the feeling of being thrust around in your seat during action makes it almost impossible to pay attention to what is going on, which meant that parts of the action passed me by. The seat vibrated at odd moments, not just when someone was hit or fell. Often when the music used bass notes it would vibrate as well, which felt very strange. The air spray just annoyed me, it made me feel cold and it seemed to go off just too late to actually feel as though it was part of the film. There were upsides of course. The few moments when Captain Marvel or other characters fly were vastly more fun as the seat moved to simulate us flying alongside them, which was something you can only get at 4DX. The 3D wasn’t too intrusive, although I did still get a small headache from it. And the smells of the sea were very nice, and I was very grateful they didn’t use any less pleasant scents. But those few positives weren’t nearly enough to justify the extra cost to me. The whole experience was very interesting but it was one I don’t think I’d want to go through again. 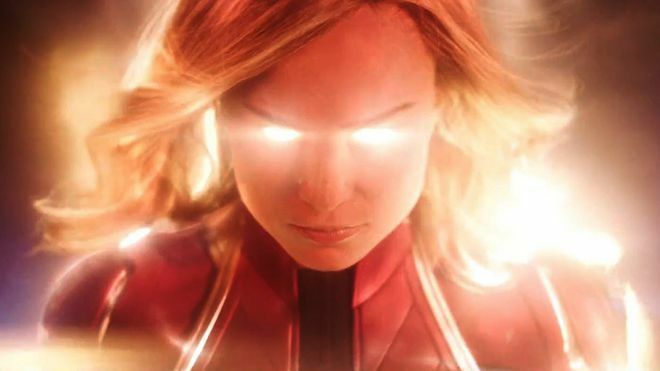 For me 4DX was not worth it, and I think I’ll need to watch Captain Marvel one more time to really enjoy all those action sequences I missed the first time. In summary, Captain Marvel was good fun, but see it in regular 2D.